The reason behind to build a new Multipurpose WordPress Themes is to have a good template which can be used for any kind of brand image for business or organization, etc. Notebook Theme is another template generated from elegant themes. It uses animations from CSS3 and formats that bring up a new freshness thereby encouraging people to click on popups and no more. This Divi is the theme builder from elegant theme focuses and is most in general used for the different size, shape, and optimization of font varieties. With Christmas come festivities, laughter, and decorations and this is what the Christmas WordPress Themes are all about smiles and decorations. Architecture can definitely be termed as the profession of the artists. Only a few chosen and skilled one can build a beautiful house from scratch. Gleam WordPress Themes are another subsidiary for elegant themes. 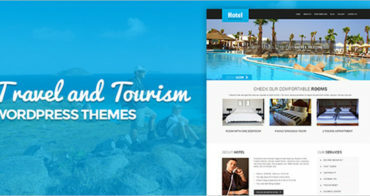 This website and theme building template is all about the showoff, lights and flash statements. Harmony Band WordPress themes is again a subsidiary website that follows under the unlimited category of designer themes. The star dazzled life of a celebrity is nevertheless a tough one. A lot of fan pressure, expectations, and the urge to become the best in the field. Elegant themes bring about a new design template that focuses solely and mainly to the needs of writing, blogging and publishing online.